You are here: Home / Uncategorized / What are Payday Loans and When Should You Use Them? What are Payday Loans and When Should You Use Them? Life is full of surprises. You can’t always predict what tomorrow will bring so you have to expect the unexpected. Sometimes surprises are wonderful, like your partner taking you out for a romantic night out. But surprises can also cause a lot of stress and financial pressure when they are unexpected expenses. Whether you need emergency car repairs or last minute plane tickets, unexpected expenses can be very difficult to deal with. One option for situations like these is taking a payday loan. There are uncommon expenses that can catch you when you’re not financially prepared for them and in these situations a payday loan may be appropriate and helpful. However, it’s important that you don’t use payday loans for recurring expenses or indulgences that you don’t need. For example, using a payday loan to pay for your rent is a bad idea because then the next month you’ll have to pay off the loan and still come up with another month’s rent. Payday loans are short term cash loans, also known as Small Amount Credit Contracts. If you apply and get approved for a payday loan during business hours, it may be possible to get the money in your account in just a few hours or it could take as long as 48 hours. Once you have the money, the loan is then repaid from your income from future paychecks. The repayments are direct debited from your bank account, so the repayments are scheduled to happen after you have received your paycheck. 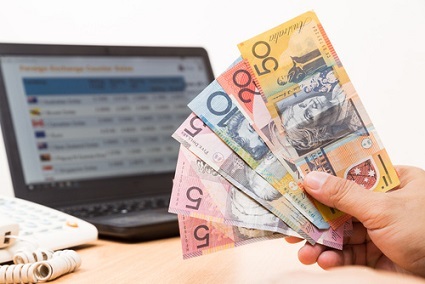 Payday loans are a fast and convenient option for people who may not have access to other forms of credit or who need a loan faster than a bank can provide one. When should you use a payday loan? Replacing a broken appliance – If you need to replace a fridge, dishwasher or washing machine on short notice, you may not have budgeted for it. Car repairs or servicing – If your car has broken down and you need it fixed ASAP to get to work, a payday loan be very helpful. Car registration – It’s easy to forget about yearly expenses like car registration, and they might catch at an unfortunate time. Moving home expenses – Moving is often more expensive than people think. Expenses like van rental, movers, and disconnection/reconnection fees for utilities can add up quickly. There are costs and risks associated with any kind of lending that you should be aware of. Defaulting on a loan will have a negative effect on your credit score which may make it harder to get approved for credit in the future. When it comes to payday loans, lenders typically charge an establishment fee of 20% of the principal loan amount and a monthly loan fee of 4% of the principal loan amount. If you are unable to make your scheduled repayments, they may also charge you daily dishonour fees until you make the repayment. If you need a payday loan, it’s important that you go to a responsible payday lender. One important feature to look out for is a flexible repayment schedule. Make sure that a payday lender can change the repayment schedule if your circumstances change. The not-for-profit No Interest Loan Scheme (NILS) offers people on low incomes fair and affordable loans for fridges, washing machines, furniture, car registration, as well as education and medical expenses. Loans of between $300 and $1,200 are available from 263 community organisation at 636 locations across Australia. NILS is a safe and affordable alternative to the high cost finance options such as payday loans or ‘rent to buy’, products which promise ‘fast cash’ but often compound a person’s financial situation.